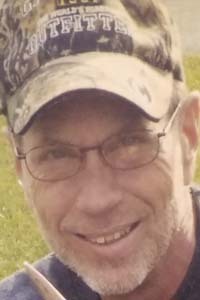 BRISTOLVILLE — Chuck “Chooch” Wilkes, 59, died Monday, July 2, 2018. He was born Oct. 24, 1958, in Warren, to the late William and Phyllis Ott Wilkes. He graduated from Bristol High School, where he met his soon-to-be wife, Tammy Tomko Wilkes. They had a son together, David, and settled in Bristolville, where they have been since. Chuck was a hard worker and was employed at General Motors. He liked hunting, fishing, golfing and camping with his family and friends. Chooch also enjoyed having get-togethers with friends and family and throwing down a few beers. He loved being in nature and spending time in the woods at “the property.” He was an avid rock music fan and enjoyed listening to music and going to concerts. He was a lifelong fan of Cleveland sports. Chuck passed his love of sports and music on to his son, Dave, of whom he was very proud. He enjoyed spending time with his friend, Mike Jarrett. Chuck and Tammy attended church at SS. Peter and Paul Byzantine Catholic Church in Warren. Chuck was very proud of his family and the life that he built and had worked hard for. Chuck leaves behind his wife of 37 years, Tammy Tomko Wilkes of Bristolville, whom he married Sept. 19, 1981; his son, Dave (Nina) Wilkes of Bristolville; his brothers, David (Glenda) Wilkes of Orwell, James (Patty) Wilkes of Champion and Tommy Wilkes of Powdersville, S.C.; his sisters, Terry (Bob) Skibo of Austintown and Marilyn (Jerry) Foster of Champion; his brother and sister-in-law, Joey and Ruthanne Tomko of Cortland; his father-in-law and mother-in-law, Joe and Nancy Tomko of Bristolville; as well as the many nieces and nephews and friends who loved him. Chuck’s parents and a brother, Billy Wilkes, have preceded him in death. The family will hold calling hours 10:30 a.m. to 1:30 p.m. Saturday, July 14, 2018, followed by a memorial service at 1:30 p.m. at McFarland-Barbee Family Funeral Home, 271 N. Park Ave., Warren, Ohio 44481, 330-393-9621. In lieu of flowers, the family has requested that donations be made to SS. Peter and Paul Byzantine Catholic Church, 180 Belvedere NE, Warren, Ohio 44483. Visit www.McFarlandBarbeeCares.com to view this obituary and to send your condolences.